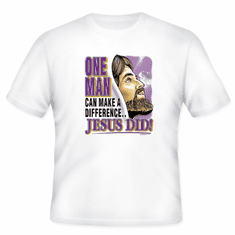 Christian Shirt: One man can make a difference... Jesus did! Home/Our HoneVille.com Store/Christian Designs /Christian Shirt: One man can make a difference... Jesus did! 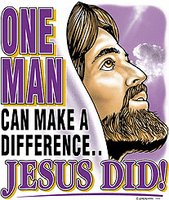 T-Shirt: One man can make a difference... Jesus did! 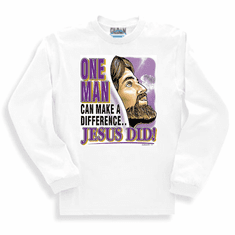 Christian sweatshirt or long sleeve T-Shirt: One man can make a difference... Jesus did! 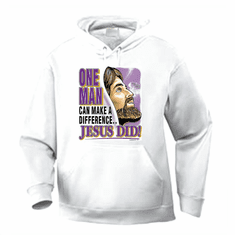 Christian pullover hoodie sweatshirt: One man can make a difference... Jesus did!